As we moved from the 20th century of Anno Domini (A.D.), we entered in an era of Information Technology & World Wide Web in the 21st century. The first decades of this century shown the emergence of the internet & social networking evolving social media as one of the best innovation so far for humankind. Today our life is completely dependent on what is trending on social media or what is happening on the Internet. The online presence of everything became so important that we actually started living virtually on the social media. I remember the days when I always tried to get some time to read a newspaper or watch TV news channels, just to know what is happening around me in the real world. With the emergence of social media & the internet, I am just a click away from a breaking news or current affair. "A media can be defined as a technology that is intended to reach a large audience by mass communication." That's what social media is nowadays most common medium to reach & engage a larger audience. Technology has helped social media to penetrate more & more in our day to day life. Especially communication has become so easy, nowadays with the help of smartphone & tablets we can easily see the real-time status, photos, locations & videos by simply tapping the touch screen.With the help of social media now the whole world is open to all of us. Social media portals like facebook, twitter & Youtube bring the whole world very closer- just a click away. You can simply chat with anyone you like or share your pictures as in when required. This is just an example how social media impacted the way we establish our day to day communication & search for information. Social media has not only impacted us at the personal level, but it has also changed the way we do business. Almost all new startups consider social media as an innovative, easier & most useful tool for their branding, promotions & medium for successful campaigns. Social media has also impacted the way of communication between people & businesses organizations. Now the customer can simply post their complaints on the businesses official twitter handle & the company immediately respond & acknowledge the query. Social media has also boosted the presence of NGO's, non-profit organization & social causes to reach the major part of our society in terms of raising awareness & arranging funds for the social benefits without any additional cost. Reaching to a large audience is not a barrier anymore. The social media campaign, influencers, and blogger media outreach are some of the latest branding & marketing techniques arising from the powerful impact of social media & the internet. As a social media enthusiast, blogger & influencer, I believe in the impact & power of social media & the internet. The days are not far when we will see the social media outreach as one of the most common way of advertisement over the traditional way of marketing. The Internet will continue to dominate the life of human race in various forms in future as well. 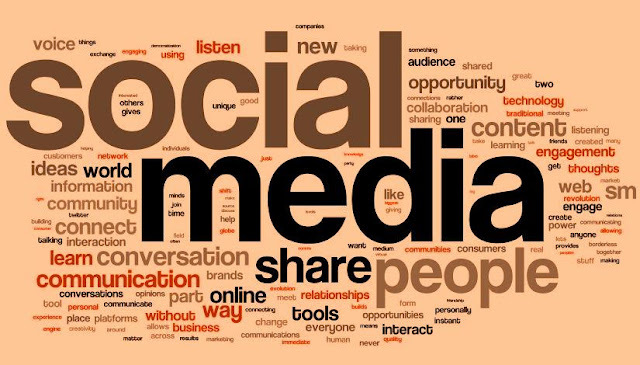 If you want to share how social media & the internet has changed your life, please do mention in the comment section. This blog post is inspired by the blogging marathon hosted on IndiBlogger for the launch of the #Fantastico Tiago from Tata Motors. You can apply for a test drive of the hatchback Tiago today.